One Photographer…one incredible view of the world in which we live. Todd Shaak is a photographer based in St. Louis Missouri. 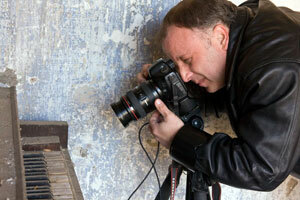 His extensive portfolio includes Fine Art, Wedding, Portrait and Commercial photography. Todd’s passion for capturing life’s moments is revealed in his beautiful and compelling photographs. Known for his images of Saint Louis Landmarks including the St. Louis Gateway Arch, Union Station and Busch Stadium, Todd has recently turned his artist’s eye toward the landscape surrounding St. Louis. The old barns and farms that dot this landscape are two of his favorite subjects. His poignant series, “Beautifully Decayed” / “Traces of Humanity”, captures the gritty and haunting beauty Todd discovered while exploring the urban & rural ruins. Todd’s work has been displayed in galleries and juried art shows in the region. He has received several awards from notable venues including the The Plaza Fine Art Show in Kansas City and Taste of St. Louis among many others. Fox Sports Network, Midwest, commissioned Todd to furnish their broadcast booth with photos of the new Busch Stadium. Todd has also done commercial work for Fox Sports Midwest , Holland Construction and others. Raised in the St. Louis area, Todd has lived and traveled throughout much of the country. Returning to his roots, Todd moved back to St. Louis in 1994. Todd has always had a passion for anything creative. His creative passion was the cornerstone early on to his successful career in sales and marketing and remains so for his career in graphic design, multi-media and photography. Always interested in photography, it was only 6 years ago that Todd discovered his true passion. Through his photography, Todd is able to convey all the emotion, eloquence and nuance of design that makes each of his subjects unique. His understanding of the camera/lens and his artistic vision allows him to capture a beauty that can only be achieved by one who has mastered his craft. Todd is passionate about nurturing and encouraging the beginning photographers he meets at his shows. He takes time out of his busy schedule answer their questions, generously sharing his expert knowledge with them. Todd also hosts an online photography forum (www.photochimps.com) where new and experienced photographers alike can ‘meet’, share their photos and exchange ideas.